Access brought to you by drones, sats, and balloons. Only one out of three inhabitants of this planet has regular access to the Internet. Its vast resources in education, industry, media, global communication, and culture—not to mention cat videos and selfies—are beyond the reach of most. A handful of companies and entrepreneurs are working on various ways to get the world’s wired population to hit three out of three. Google, Facebook, and SpaceX have all recently announced initiatives to connect the world’s unconnected three to four billion to the Internet. But to reach the world’s most remote regions, the familiar combinations of cable TV wires, fiber optic lines, and cell phone towers won’t be sufficient. Instead, Google wants to use high-altitude balloons, Facebook plans to fly solar-powered drones, and SpaceX is preparing to launch constellations of Internet-transmitting satellites into space. Plus, one satellite entrepreneur you’ve probably never heard of might beat them all to the punch. Whether the truly world-wide web arrives courtesy of one or some or all of them—or another, dark horse methodology no one is even talking about yet—within the next 10 to 15 years, it will happen. Most of the planet will be able to get online whenever they want to. “Gigabit-level access, 20- to 30-millisecond latency, everywhere on Earth” is how SpaceX founder Elon Musk described his vision earlier this year. 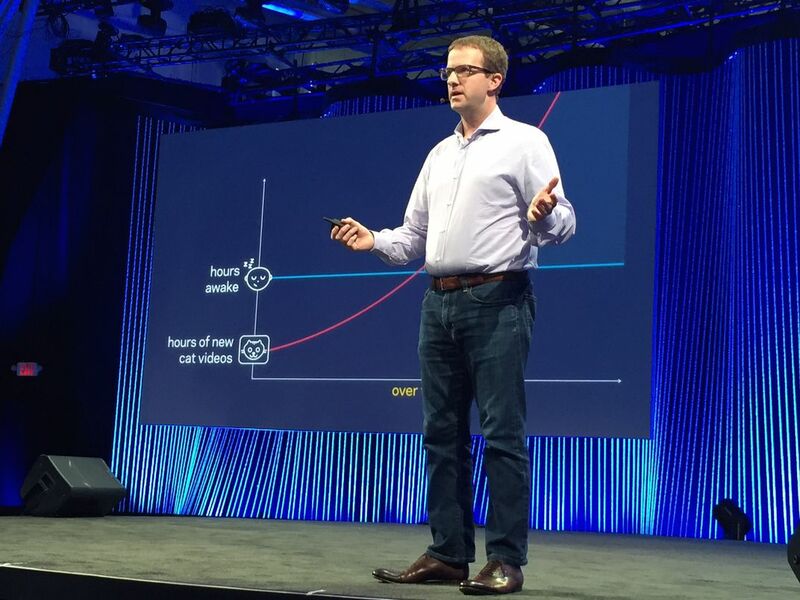 At Facebook’s F8 conference in March — a usually-annual conference for developers who build applications for the social media site—Chief Technology Officer Mike Schroepfer laid out the fundamental problem. He posted a slide of Earth’s wireless data coverage today, combining 4G, 3G, and 2G/EDGE networks. The image looks like that famous “Earth at night” NASA photo montage, revealing patches of the planet where artificial illumination shines brightly in the dark—and leaving vast stretches of Earth’s landmass in darkness. Meanwhile, Facebook’s biggest rival in the Internet space race has been testing its visionary solution at a World War II-era hangar at Moffett Federal Airfield near Mountain View, California. 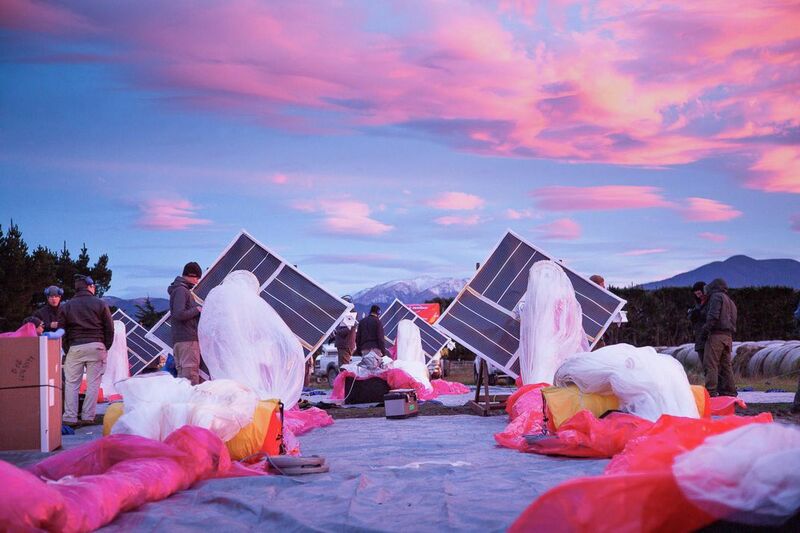 Google’s Project Loon was launched in June 2013 with the release of test balloons on New Zealand’s South Island. The Loon project—the name is short for “balloon,” but slyly acknowledges the perceived lunacy of the undertaking—is the latest of Google’s so-called X-Projects. The X-Projects are now run by Alphabet, a conglomerate in which Google is only one division. Other prominent X-Projects include the self-driving car and Google Glass. As Google spells it out in the terse web pages it devotes to Project Loon, the idea is simple but the execution will be complex. Helium balloons will carry solar-powered telecom payloads that essentially make the balloon a 4G/LTE-providing tower. The balloon itself contains a second balloon that will be used when the host reaches its destination in the stratosphere, 59,000 feet and more above Earth. This is nearly twice the altitude of airliners and the weather, putting it above many of the hazards lower-flying balloons could encounter. And thanks to the U.S. National Oceanic and Atmospheric Administration, Google also has access to detailed global forecasts of wind speed and direction at various altitudes in the stratosphere. For instance, suppose that a given Loon — one 69,000 feet above Santiago, Chile, say — needs to travel east to Buenos Aires. NOAA’s forecast might predict that at its current altitude, winds are unstable and southerly, but at 65,000 feet, they’re easterly. So the Loon would need to descend by about two-thirds of a mile, then ride the currents toward its destination. An onboard pump can inflate the Loon’s inner balloon with air to cause it to slowly sink—and should it need later to climb, the inner balloon can pump the air back out. This gives the Loon balloon the ability to steer itself. Informed by data-crunching algorithms that enable it to use NOAA’s forecasts, the Loon could climb up and down in the stratosphere and ultimately sail its way across the planet. 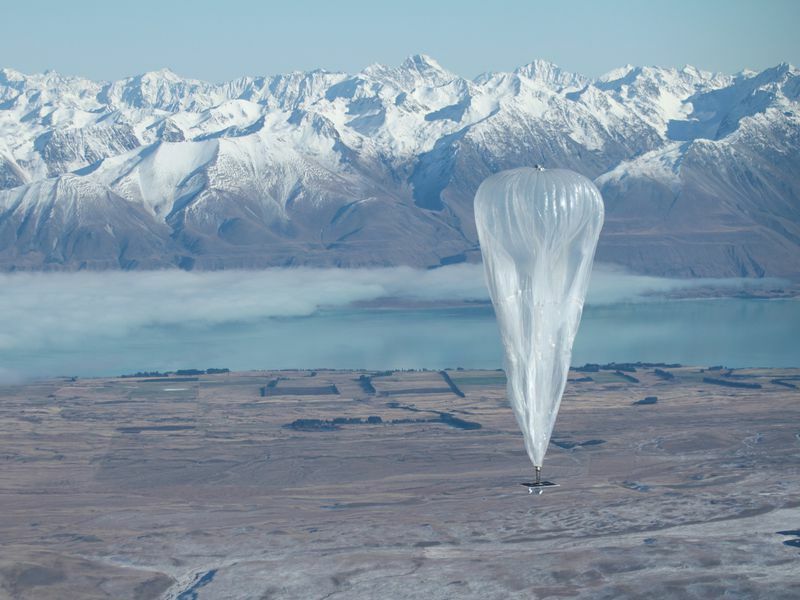 Google says it has so far launched more than 30 Project Loon test balloons, in New Zealand, California’s Central Valley, and northeast Brazil. According to an announcement in March, a Loon launched from New Zealand, traveled 5,600 miles over the Pacific, then found calmer wind patterns (one-quarter the speed of its trans-Pacific crossing) over Chile to connect Chilean Loon testers to the Internet. It crossed the Atlantic at a top speed of 87 mph and finally, eight days later, lingered within half a mile of its target over eastern Australia, providing a further two hours of Internet connection there. 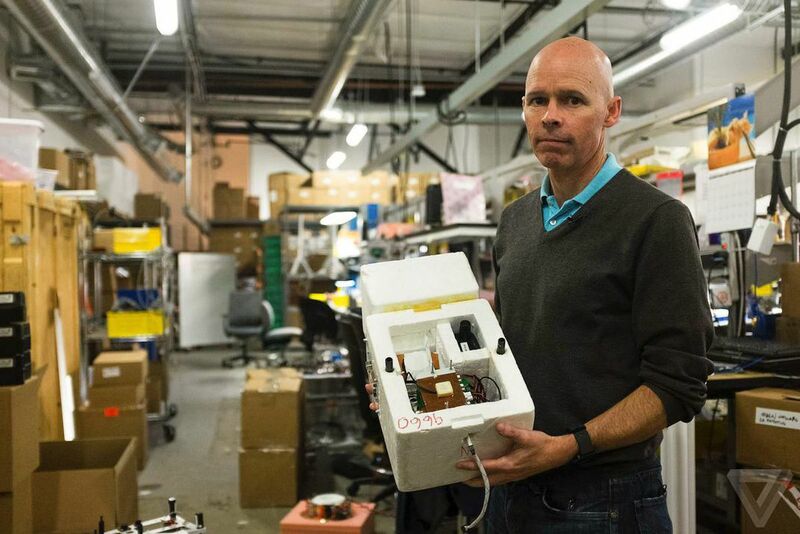 Greg Wyler is a serial entrepreneur who has wired parts of Rwanda—the old-fashioned, dig-trenches-and-lay-miles-of-fiber-optic-line way—and has offered satellite-based Internet connectivity to remote islands and other out-of-the-way locations. Now he is taking on Google and Facebook in the race to bring the world online. But rather than using untested technologies, Wyler thinks it can be done with a fresh approach to a very familiar industry. Wyler plans to launch 648 Internet-providing satellites into low Earth orbit initially, and later launch about 250 more. And his constellation—which he maintains would be the largest devoted constellation of satellites in history—will, he says, be able to connect the planet to the Internet in just a few years, rather than a decade or longer. Wyler’s company, OneWeb, plans to launch its first satellites in 2017. Partnerships with Virgin Galactic (for launching), Qualcomm (for the chips in the satellites), and Airbus Defence and Space (for design and manufacturing help) have already been announced. Each low-Earth-orbiting satellite (which Wyler says will cost around $400,000) will act as an intermediary for solar-powered OneWeb ground stations on Earth. And of course unlike geosynchronous satellites, whose position can be fixed once like a satellite TV dish, any LEO satellite that the ground station tracks won’t be in the sky for very long before it sets below the horizon—at which point the ground station must find a new one. Such never-ending tracking problems are the Achilles’ heel of the LEO industry and have traditionally been the reason why LEO satellite ground stations (boasting expensive movable dishes and tracking hardware) cost ten times or more the price tag that Wyler projects for his stations. Keeping secret OneWeb’s fix for this problem, Wyler points only to the track record of his partners. “You have satellites moving overhead, with tremendous amounts of bandwidth, continuously handing over from beam to beam and satellite to satellite, to a terminal that’s sitting on the roof of a school,” he says. “Building chips that do that is really hard. Qualcomm is doing the heavy lifting, as they have deep technology in these types of handovers. Their handover technology is in 95 percent of the cell phones around the world.” So, he says, Qualcomm is up to the challenge. Wyler expects to sell his ground stations for a few hundred dollars each, a price that’s competitive with satellite TV setups today. This price may put one out of range of most households in the developing world, Wyler acknowledges, but it’s easily within reach of schools, community centers, local government buildings, and other NGO and non-profit centers. “That school district on an island in Indonesia can get a solar-powered terminal that a local girl would be paid to manage,” he says. “It’d then bring high-speed Internet connectivity to the area around the school and to those kids. Of course, cheap, reliable, and global connectivity has been promised before. Teledesic, Iridium, and Globalstar all attempted to use constellations of satellites to connect billions of people around the world. None succeeded, and Iridium and Globalstar declared bankruptcy. They’ve since emerged from it, though not in any way that has Wyler looking at them as possible competition. Wyler says that these companies all hit the market when technology couldn’t support such ambitious goals. Now, he says, it can. Moore’s Law has ensured that since the late 1990s, when companies like Teledesic last tried, computing speed has undergone some seven or eight doublings. With current technology, Wyler can’t expect to make money in selling the terminals, Farrar says. Indeed, it’s possible the base stations would act as a loss-leader. But if the Internet signal is free, where does the profit come from? While Wyler and Google are somewhat cards-to-the-vest about their plans for wiring the rest of the planet, Elon Musk surely wins the secrecy prize. His announcement of SpaceX’s plans were vague and, Farrar says, confusing. 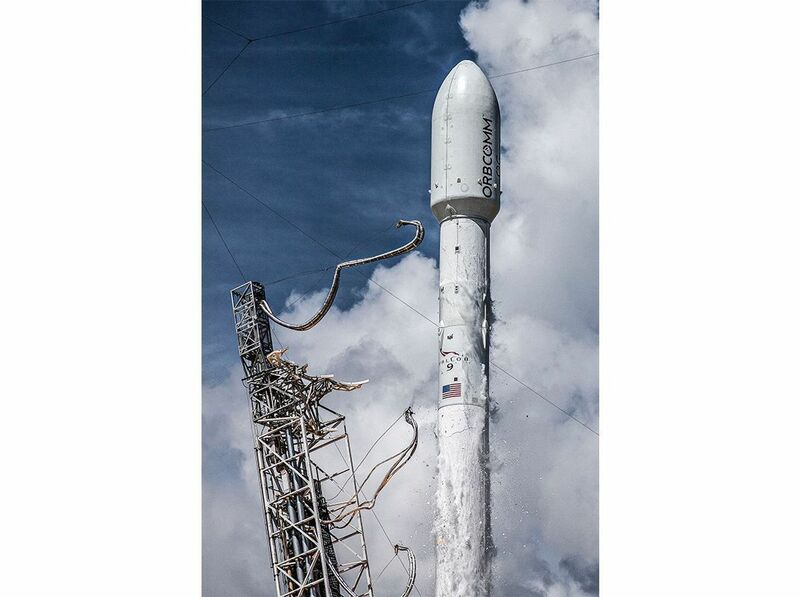 Crucially, SpaceX has filed a claim with the U.S. Federal Communications Commission that, if successful, could require OneWeb to share the broadband spectrum with SpaceX once their separate satellite constellations are launched. 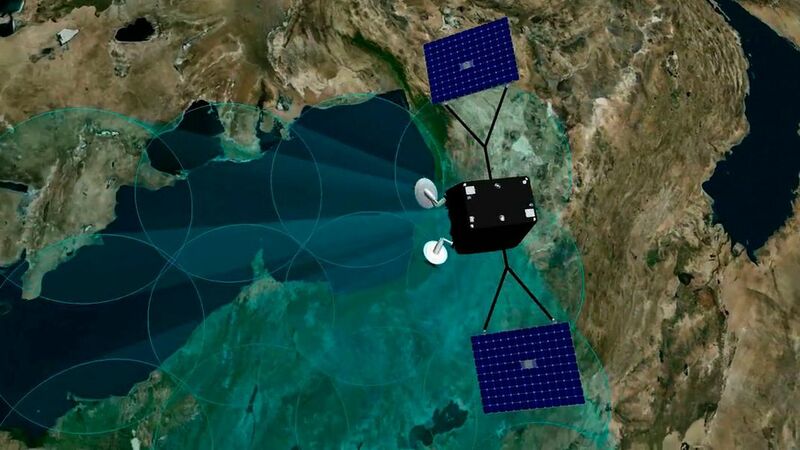 And that could mean that even if OneWeb is the first into orbit with its satellites, SpaceX could still take its time with its own system and also win access to half of the spectrum OneWeb seeks to claim. 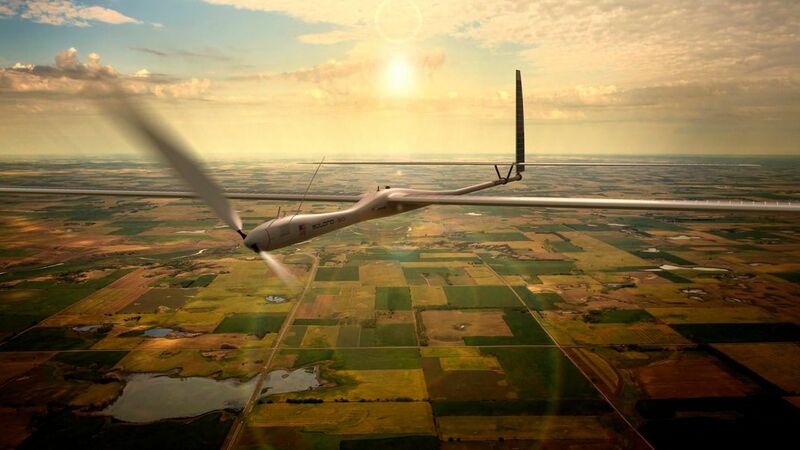 As for Facebook’s global Internet-connecting plans, the company (and its partner organization, internet.org) has announced that it plans to connect the planet via fleets of unmanned, solar-powered drones that roam the stratosphere and beam down data coverage. 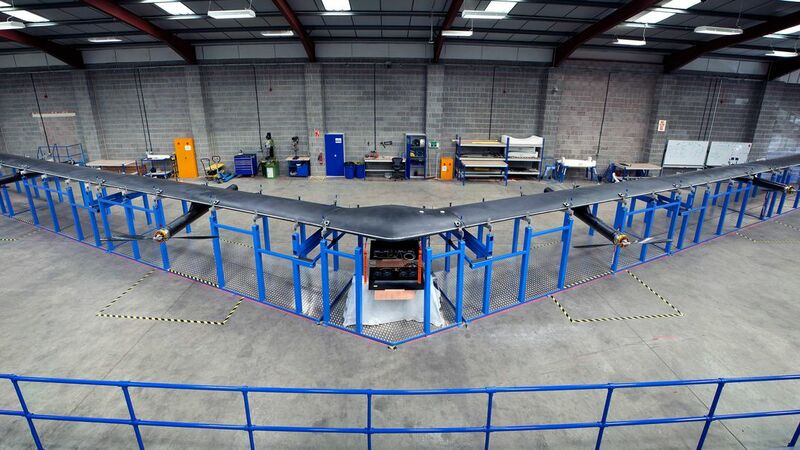 Facebook’s 2014 purchase of the U.K. solar drone maker Ascenta enabled the world’s leading social network to become, in one swoop, the world’s leading maker of solar-powered “connectivity aircraft,” in Facebook CEO Mark Zuckerberg’s phrase. In a July 30 blog post, Facebook Vice President of Global Engineering and Infrastructure Jay Parikh announced that a full-scale version of the company’s Aquila drone was ready for flight testing. The solar-powered aircraft has the wingspan of a 737 but the weight of only a small car. Operating from 60,000 to 90,000 feet, it will remain above weather and air traffic. Each drone will have the ability to circle a remote region and beam down an Internet signal for up to 90 days at a time. Working together, the fleet is intended to provide uninterrupted Internet access to users and stations on the ground. Parikh also announced that Facebook’s laser communications team had successfully lab-tested a beam that can transmit data at 10 gigabits per second, a 10-fold speed increase over prior lasers. He said the laser is accurate enough to hit a target the size of a dime from more than 10 miles away, and that the laser communications network this research will enable will allow Facebook’s drones to communicate with one another and with stations on the ground. 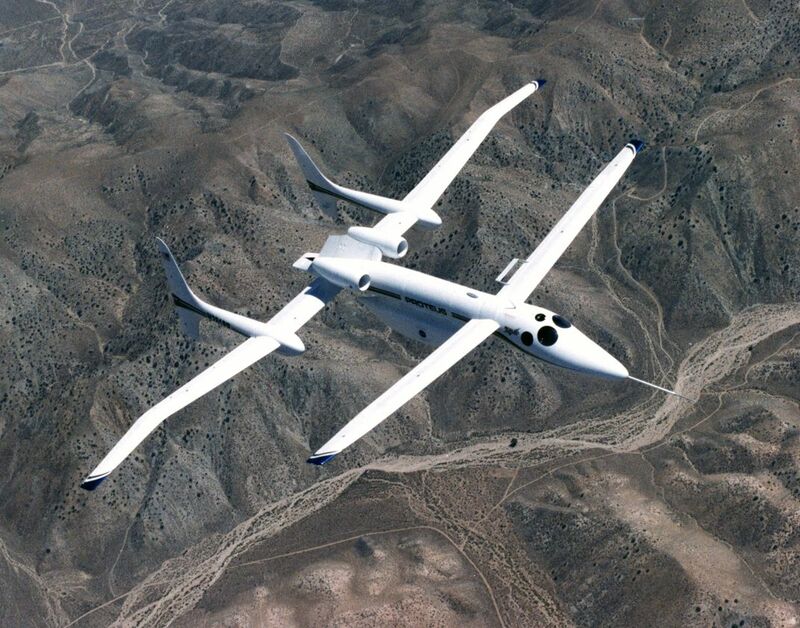 Facebook’s scheme is reminiscent of a 1999 plan to loiter an aircraft called Proteus above Los Angeles to serve as a high-altitude cell phone antenna tower. Its High Altitude Long Operation (HALO) Network was another grand idea from the late ’90s tech bubble that proved to be starry-eyed. Still, he says, it’s easy to be a naysayer. “In any field, all the old jaded guys say, ‘That’ll never work.’ And yet the 27-year-old brilliant guy says, ‘Why don’t we try this?’ And the old guy says, ‘No, no, no.’ And they say, ‘Screw it, we’ll do this anyway.’ That’s the beauty of progress.